Pathways from UCA Synod of NSW & ACT on Vimeo. The Pathways team presented at Synod after many months of hundreds of conversations with members of Congregations across two very different Presbyteries about the life of the church and how it is expressed at the grassroots. Pathways is a planning project seeking to explore how the mission of God is lived out in Congregations and Presbyteries, and to discover how the Synod can empower, resource and support this mission. Pathways is developing processes that will enable us to listen deeply, value each other even more and bring to light the many exciting possibilities for sharing Christ’s story of his deep love in the world. This will all then be mapped out in no ordinary feat of a long-term plan, assisted by Congregations and Presbyteries for the years to come. Pathways is sitting alongside other concurrent projects in the Synod including, Stepping Stones, Saltbush and the unanimously and newly endorsed by the Synod Pulse Project. Project consultants Rev. Kath Merrifield and Ms Melanie Dicks presented the Pathways report and findings. 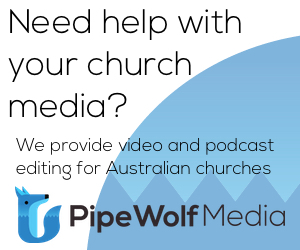 A video about what the two Presbyteries New England North West and Parramatta Nepean had to say about this exciting project was shared. Rev. Kath Merrifield, explained what Pathways Project discovered and heard across rural Presbytery, New England North West and the largest Presbytery by population, Parramatta Nepean. “What we heard was consistent across the congregations and the presbytery and there is strength in that consistency. Generally, we know who we are who we are called to be we know that we are motivated for our love for God and our love for God’s people and we are called to be Christ’s hand and feed in the world,” said Rev. Merrifield. “As a church we talk about the nature of the Uniting Church in terms of our commitment to social justice, about being inclusive and embracing our diversity. We are able to allow many different opinions. We are a Church that is open to all people and open to having difficult conversations. “We share a longing to sustain and prosper together as a body of Christ. We seek to connect meaningfully with our communities. It is a strong part of what we are said Rev. Merrifield. What was unexpected was that when we focus on who we know we are called to be, the money and property issues become secondary to being faithful to our call. Rev. Geoff Stevenson, Chairperson Parramatta Nepean Presbytery shared the Presbytery perspectives of how Pathways played out. Parramatta Nepean presbytery is a large and diverse Presbytery that includes ethnic and socio economic diversity. “We have been trying to change the conversation and move towards new and renewed models of ministry and mission. Pathways has been a vital tool in the process opening up some new ways into the future. Our expectation was that Pathways would provide two different pictures of our Presbytery. First the internal picture of how we see ourselves at a grass roots as congregations in mission, what are our hopes joys and struggles. Second the picture was a reflection of what the reality of our Presbytery and congregations is,” said Rev. Stevenson. Pathways achieved these expectations and more. 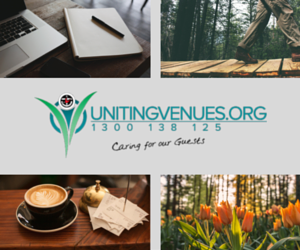 “We do know who we are as a Uniting Church. There appears a disconnect between what we think and believe in our heads and yearn for in our hearts. Pathways has uncovered a deeper yearning, said Rev. Stevenson. “Our lack of confidence to share our faith in words in the public domain was evident. We need to engage missionally and to connect with the community. To help us talk about our faith and help us transform a system of belief that follows Jesus into a tumultuous 21st Century world,” said Rev. Stevenson. Pathways process is expected to benefit the whole church and provide new pathways for the mission of the whole church. Melanie Dicks, Pathways consultant outlined the next steps for stage three of the project. This will involve assisting the congregations to make and assessment of their profiles, identifying local priorities for ongoing collaboration, missional support and ongoing engagement. Feedback will be provided to build a way for congregations to continue with the process to check in on each other and to continue their planning. We need to imbed collaborative processes in our interconilliar process. In our process we observed the hunger to know what the others are doing we are not collaborating in intentional ways. Rev. Merrifield said, “We know for the process to work we need the commitment of people in congregations. People came with honesty and hopefulness in the process which meant the conversation was helpful and enlightening. 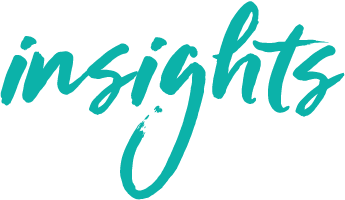 “We need the commitment of Presbytery leaders and congregational leaders to encourage people to participate and engage with the Pathways project. “There is a strong need for a wider connection. Congregations want to know what is going on in the wider church and a willingness to share priorities alongside missional goals, said Rev. Merrifield. It was also discovered congregations could make better use of tools and data already available including statistics contained in the National Church and Life Survey in 2016. Recommendations that Synod receives the report was unanimous. A key issue is how we have connection between various silos in the church and how we can inform each other’s story. There was a suggestion that this is not just a project for presbyteries and congregations but for the Synod to get the good news out there rather than just the negative church news prevalent in the media. Rev. Jane Fry concluded the session urging that the connection has to be all of us. This is about grass roots engagement noting that It can’t just be people in the office in the Synod office telling people on the ground in the congregations how to work.